Although walk-in registration and walk-in payment will be accepted, hand-out and lunch may not be provided. 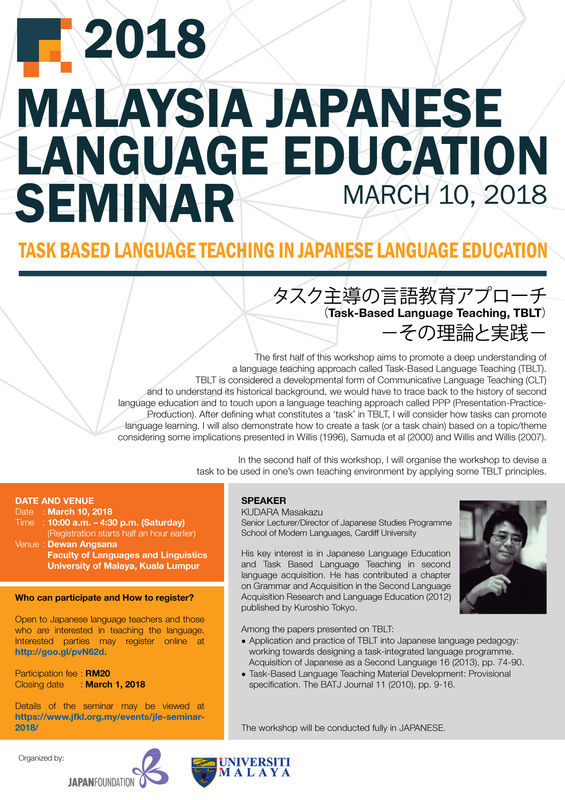 The seminar will be conducted entirely in Japanese. It is open to Japanese language teachers and those who are interested in teaching the language.